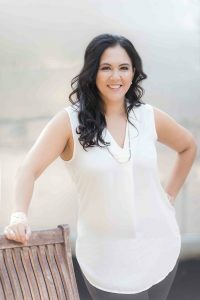 Rain in the forecast for the special day? 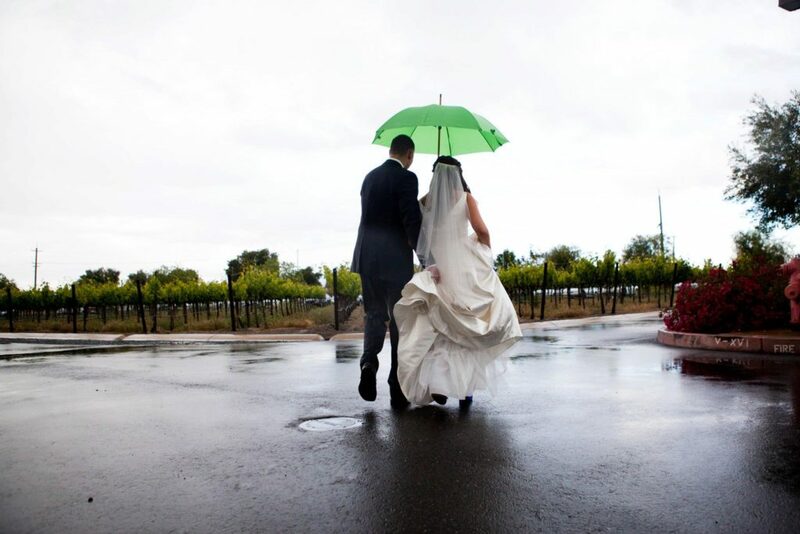 Whether you are planning your dream wedding, or a picnic with your company’s employees, don’t let a a few raindrops ruin your perfect plans. Many joke that California doesn’t have four seasons, but if you’ve lived here the last few years, you know the chances of having your event fall on a particularly rainy day or week is not at all out of the question. If this is the case, you want to be prepared so you aren’t left scrambling at the last moment, looking for an alternative venue. 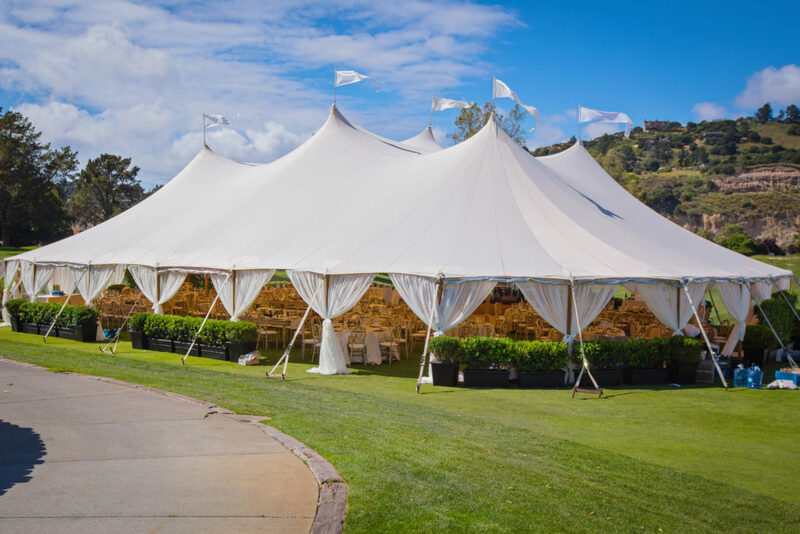 Tenting is a great option to keep your guests dry and ensure your event will continue as planned. 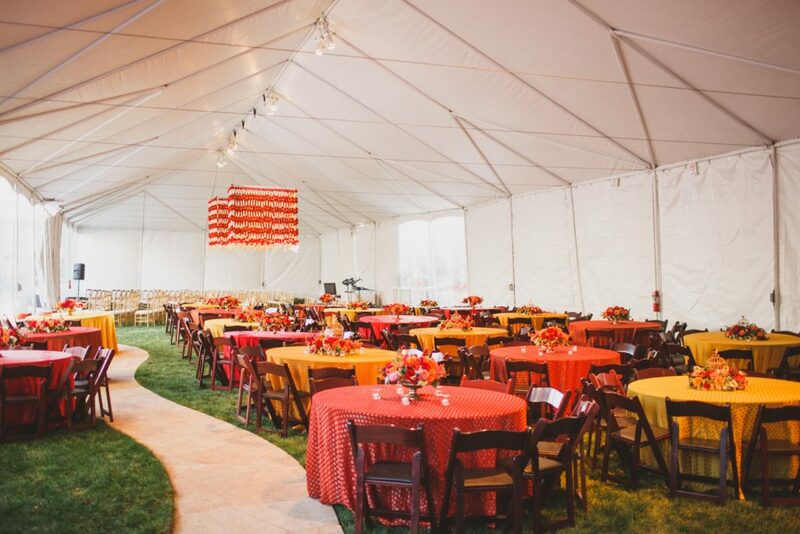 We understand if you’re not yet totally convinced by the idea of having your event in a tent. However, we think these photos may change your mind. Take a look for yourself! Keep the air flowing and bring the outside in, if the whether holds up, with an open wall concept. 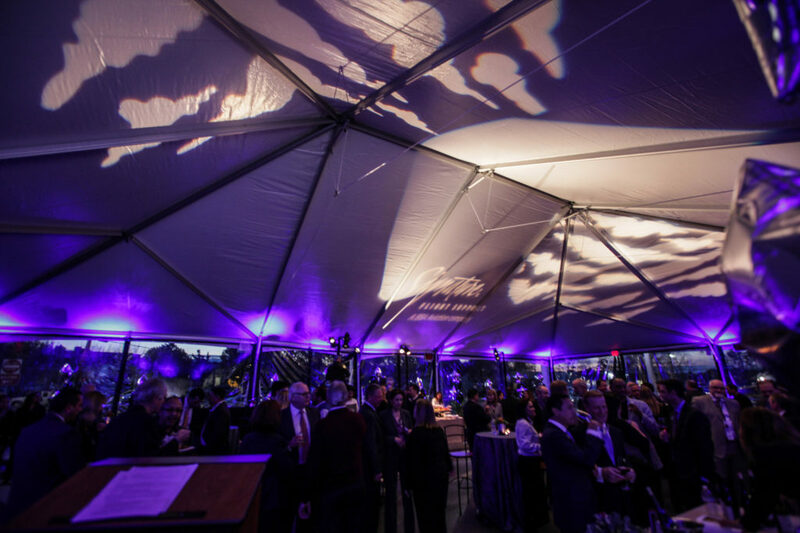 Additionally, lighting can be used to showcase a company’s branding in the decor of corporate events. 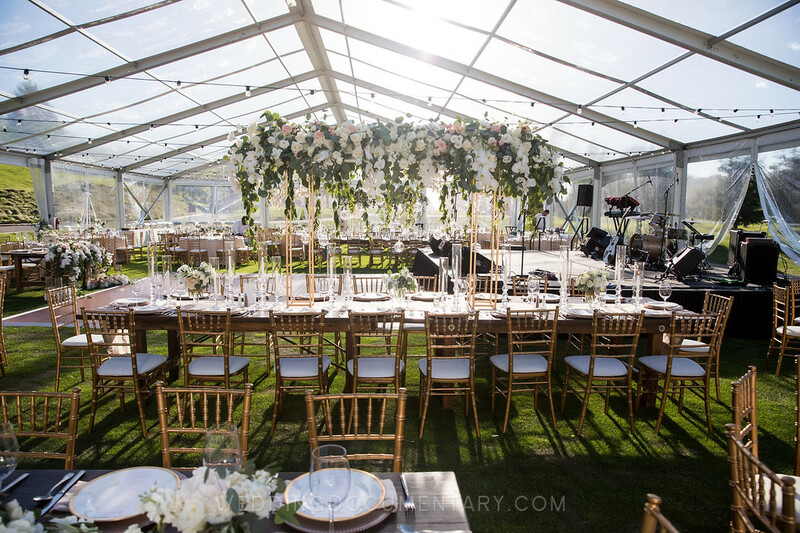 Let your linens and florals pop against the neutral white structure. 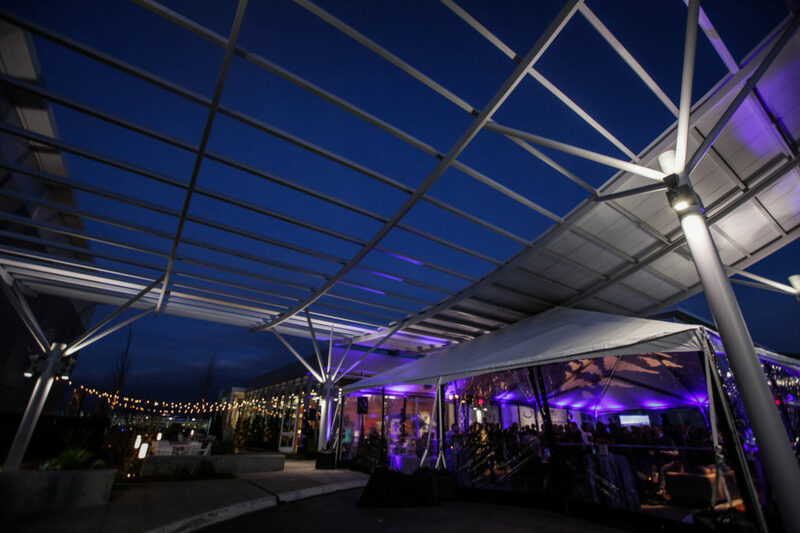 Tenting gives you the added luxury of enjoying an event in an unconventional space, any time of the year. 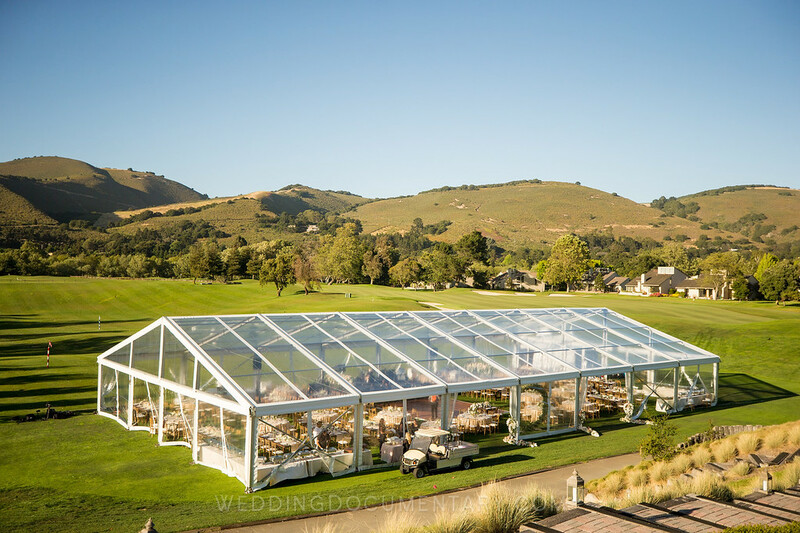 You can still enjoy your surroundings, and keep an eye on weather, when you opt for a clear tent. 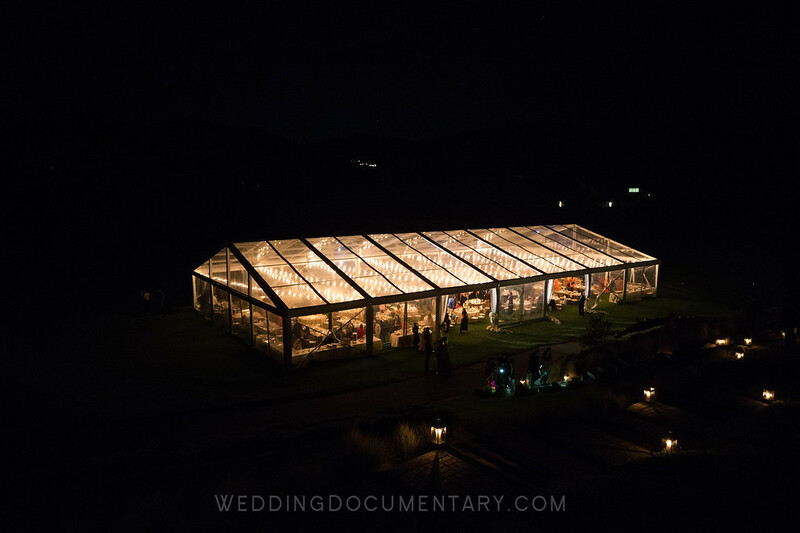 Light up the night when you use market lights in a transparent tent. 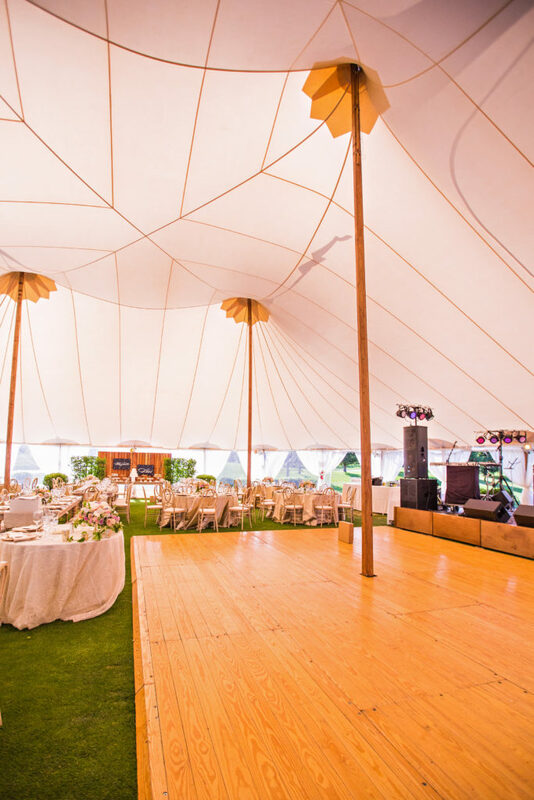 You may also use lighting to add to the decor of a standard white tent. 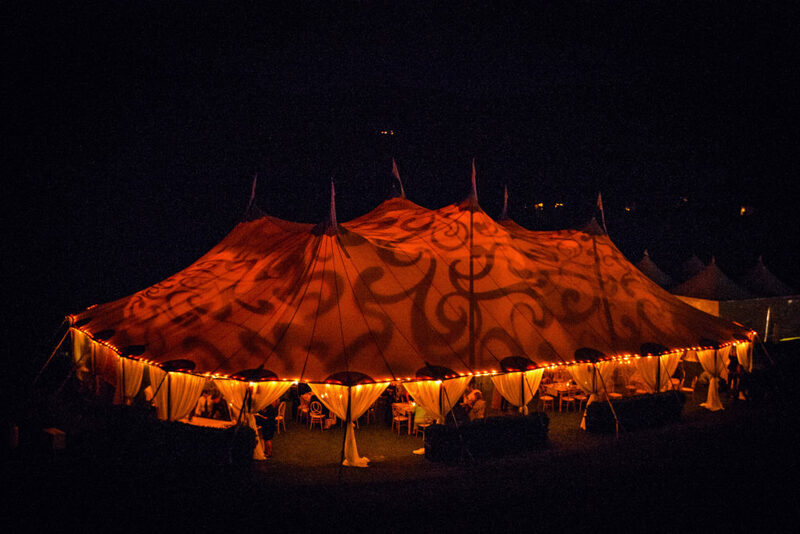 Have we convinced you of the magic of tenting yet? 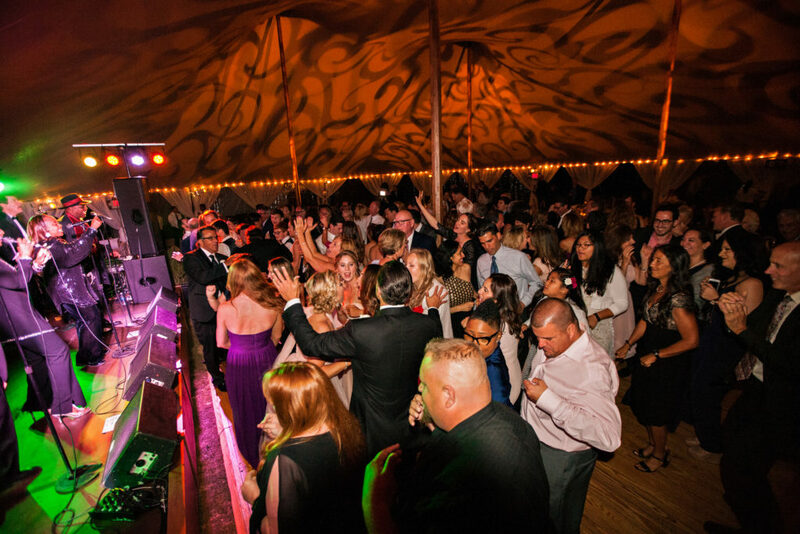 If you have a special event coming up, and your venue does not have an indoor option, Amazáe can help! 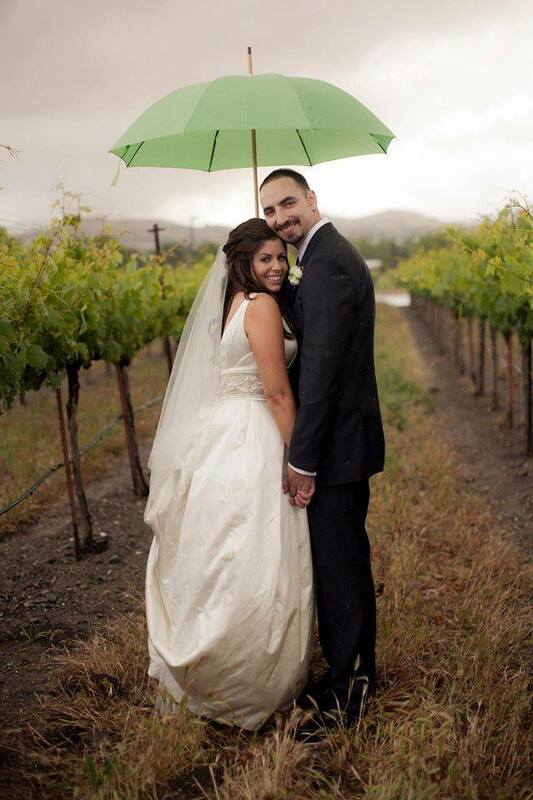 Weather will not rain on your parade, or your event, even if it happens to be your wedding da!. 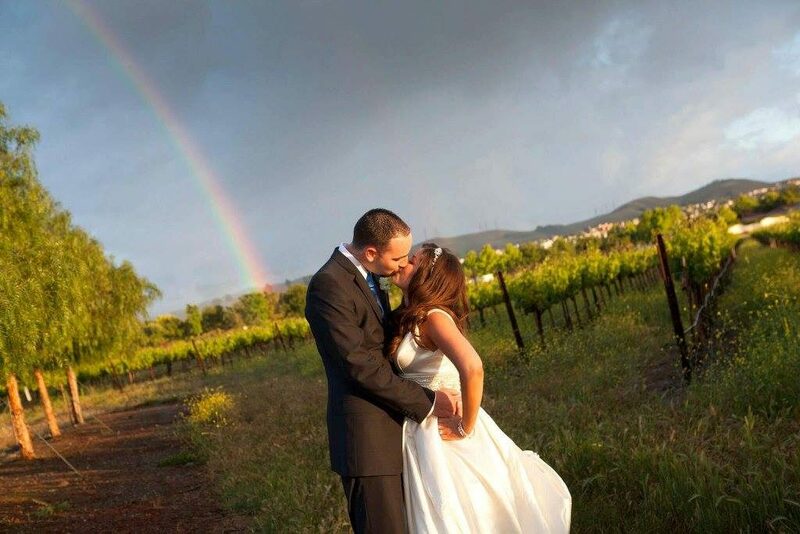 Not only will you still have an amazing event, even from under a tent, but it is often said rain is good luck on the wedding day. Not to mention, your pictures would be stunning rain or shine.